This past December, Kris Sims from the Canadian Taxpayers Federation and I drove from Burnaby, B.C. just over the border to a hospital complex in Bellingham (Washington State). We were hoping to talk to Canadians about why they were leaving the country for health care. As you can see in the clip above, Kris was particularly interested in the value for money aspect of Canadians leaving the country for health care. After all, Canadians pay high taxes and many pundits claim that’s because of our universal health care system. If someone is leaving the country for health care, there’s a good chance they’re probably not too satisfied with the service they’re receiving for the money they’re paying. SecondStreet.org’s interest in the trip was more related to the economic aspect of medical tourism. After all, every time someone leaves Canada for health care they’re not only spending money on things like the cost of the health procedure in another country, there are usually other expenditures abroad, such as food, transportation costs, accommodations, etc. While we found lots of examples of vehicles with B.C. license plates parked in the middle of the Bellingham health care complex, we unfortunately did not find any Canadians near their cars. We did however, speak with a staff person at one of the private clinics located in the health campus that was willing to talk with us. 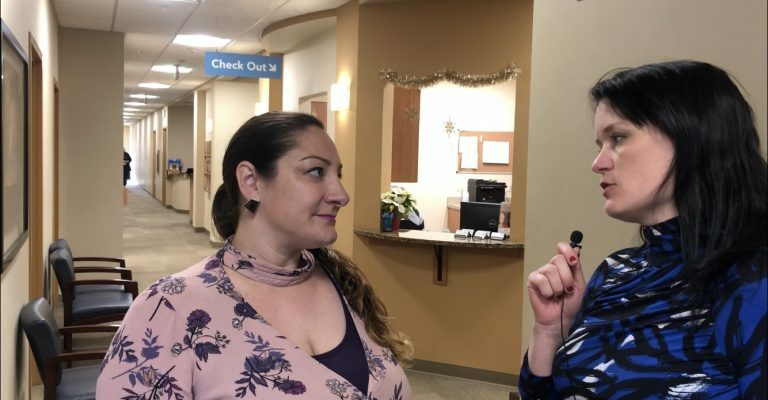 Reanna Furnari, an administrator with Pacific Northwest Urology Specialists, was kind enough to take a few minutes of her time to discuss their practice and her observations working in health care. Between Reanna’s comments and the dozen or so license plates we saw at the health care complex, it’s easy to see how Canadian patients made over 217,500 trips abroad for health care in 2017.
or sharing this content with your friends. Be sure to sign up for our updates too!